A set of nesting scoops that can be incorporated into lots of different learning opportunities. A lovely addition to messy play activities, children will enjoy scooping counters, stones, sand, etc. 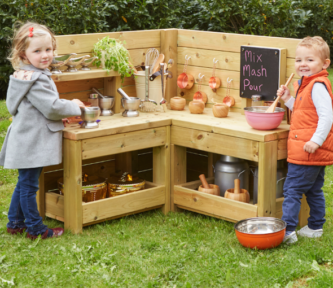 Use the scoops to collect natural materials for potion making, mud pies and so much more. The scoops come in four different sizes: 30cm, 26cm, 22cm and 18 cm.